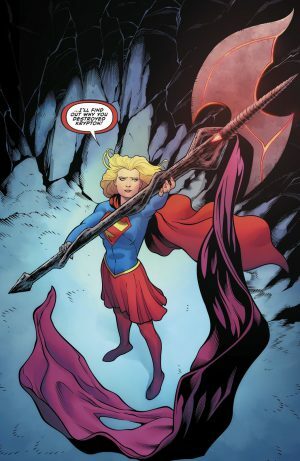 Supergirl Vs. Everyone From Superman To Rogol Zaar To The Green Lantern Corps? 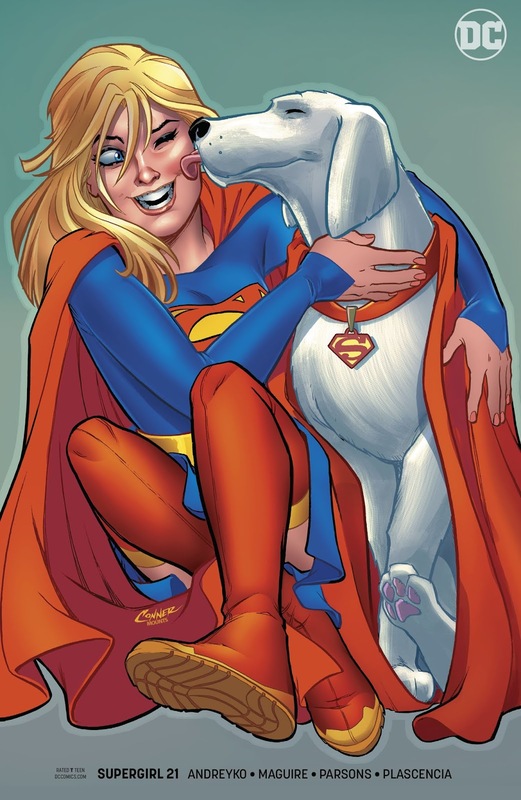 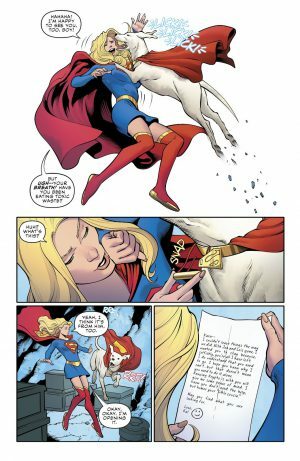 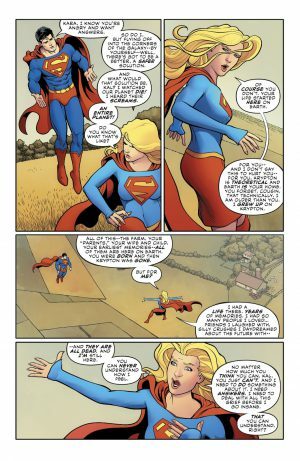 After the events of the Man of Steel mini-series, Kara Zor-el aka Supergirl wants to head off into space on a mission. She has survivor’s guilt after seeing the bottle of city of Kandor destroyed by a now banished-to-the-Phantom Zone Rogol Zaar. 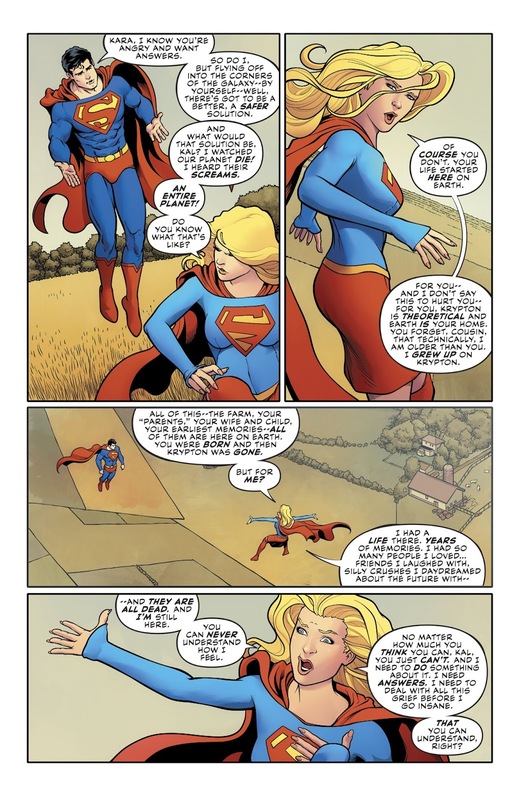 Superman cannot talk her out of it and she lives in a huff. 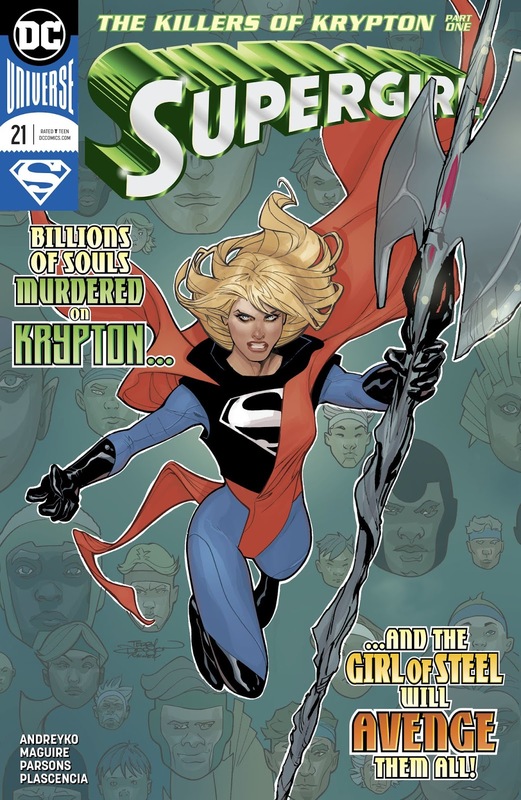 She retrieves Rogol Zaar’s weapon and her mission is to find out why he destroyed Krypton. 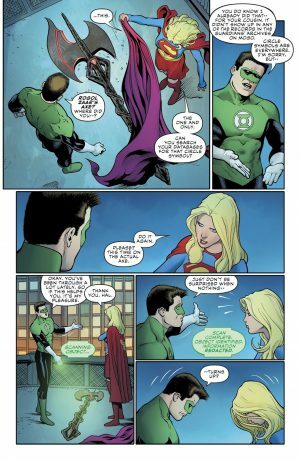 …sending shockwaves elsewhere in the galaxy! 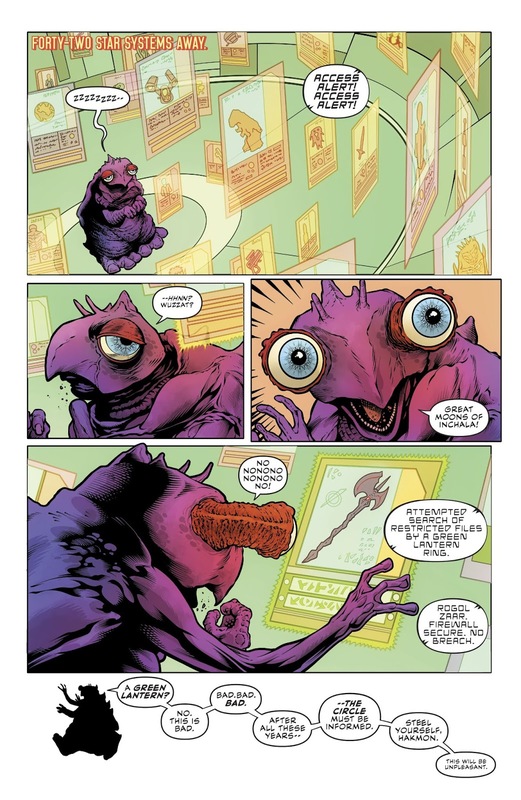 …we learn more about the mysterious person behind the redaction of Zaar’s weapon’s information and possibly a lot more.